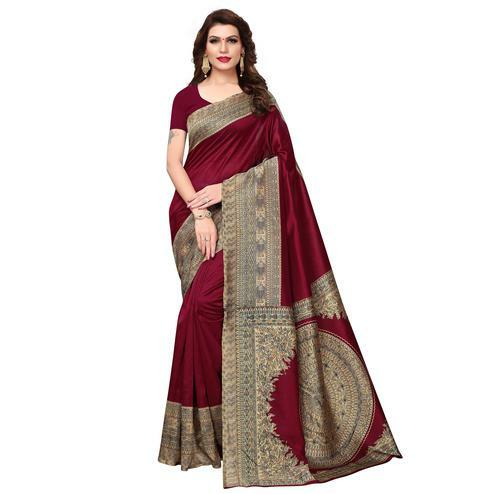 Maroon is a staple colour of every women to look glamorous.The best part of this colour is that it suits on any skin tone and any age group. 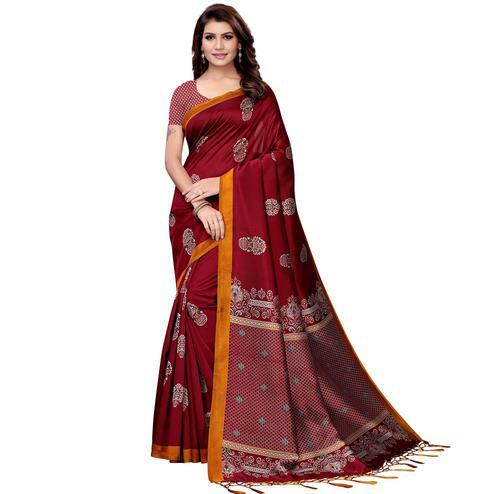 Maroon is a much bolder shade of red which shows good tint to the borders of saree, it is also more impressionable than red. 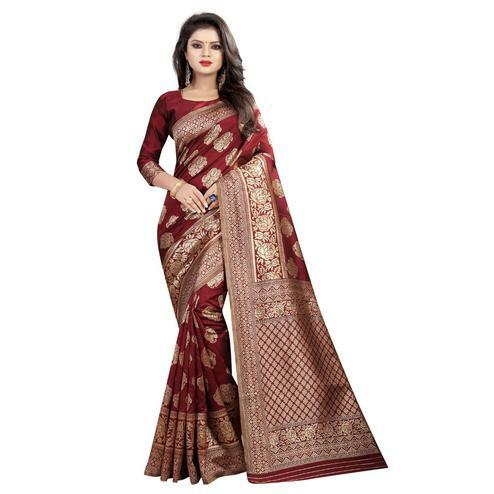 Maroon sarees are associated with brides because the colour is considered auspicious in Indian mythology, so the newly wed females are expected to wear this colour for their wedding rituals. 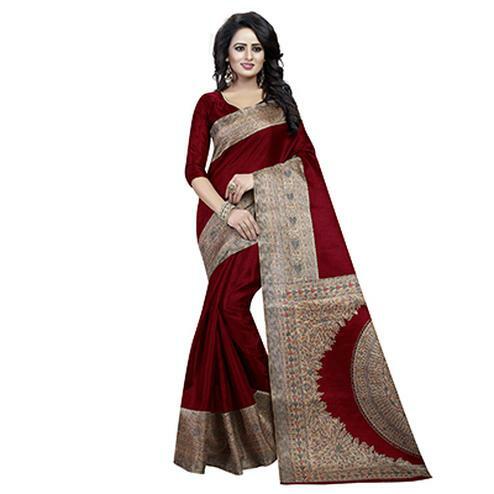 If you are looking for sensual and charming maroon sarees online then you are at the right destination. 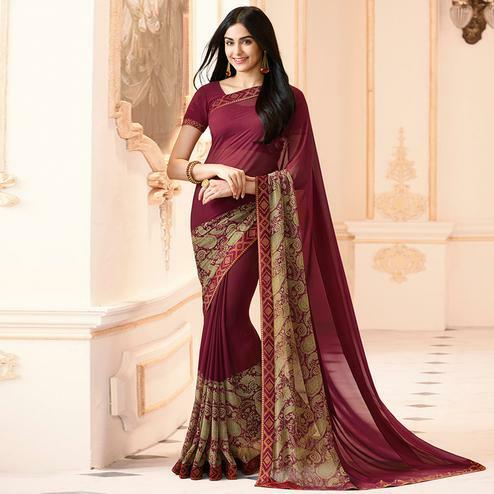 Peachmode has a huge maroon saree collection for wedding wear as well as casual wear. 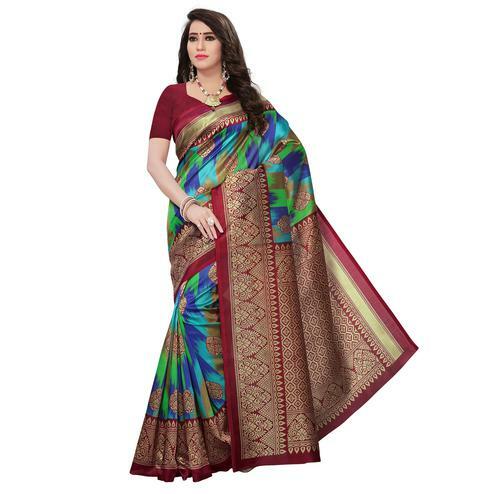 Sarees have been evolving since their invention and are now popular all around the globe. 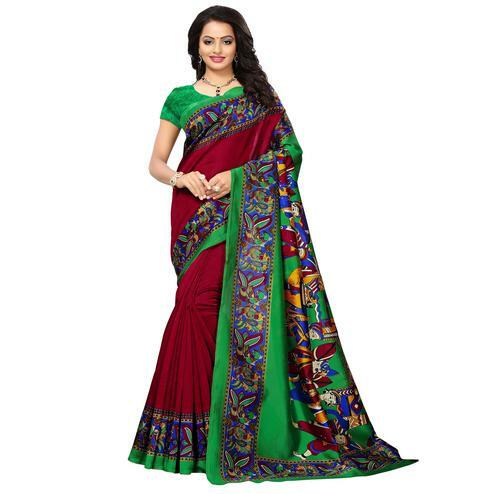 In India itself there are number of traditional styles to drape a saree. 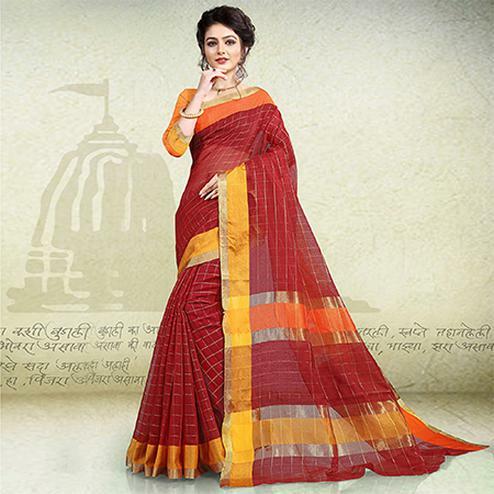 Styles like Gujrati, Bengali, Coorgi, Marathi are few from many that are admired and complimented. 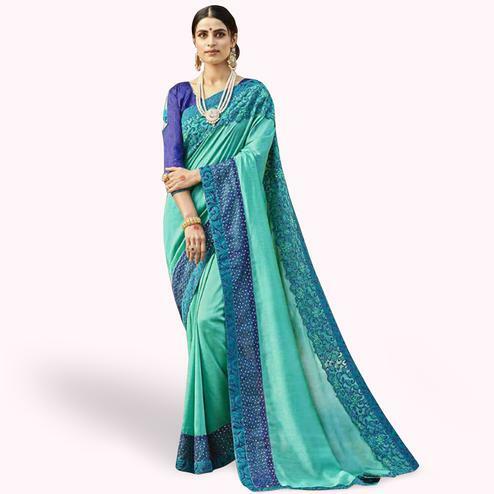 Here, the colour of your saree plays a paramount role, it is important to know whether a shade will look good on you and will it pair well with the combination of these drapes. 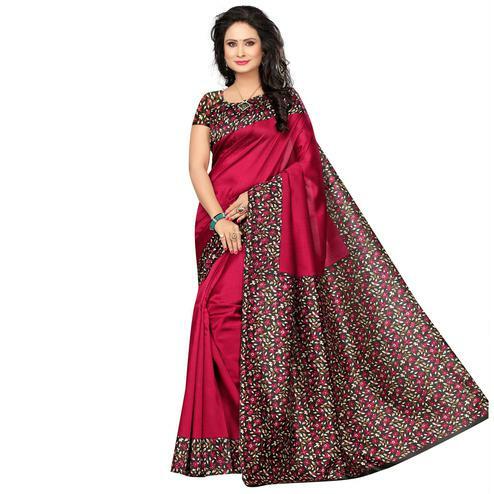 Our designers have come up with artistic designs and fresh patterns that are sure to make space in your wardrobe. 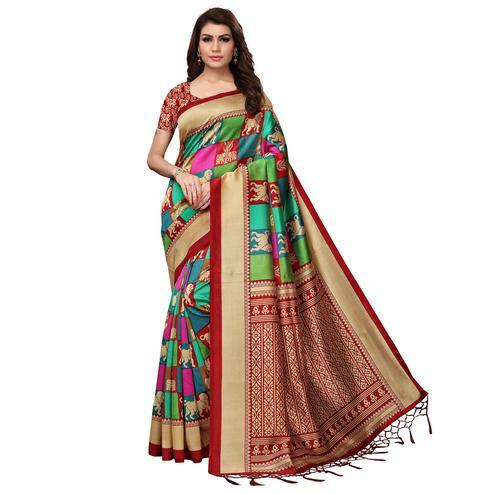 The colour combinations, placement of the motifs, designing of the work are all thought upon very closely. 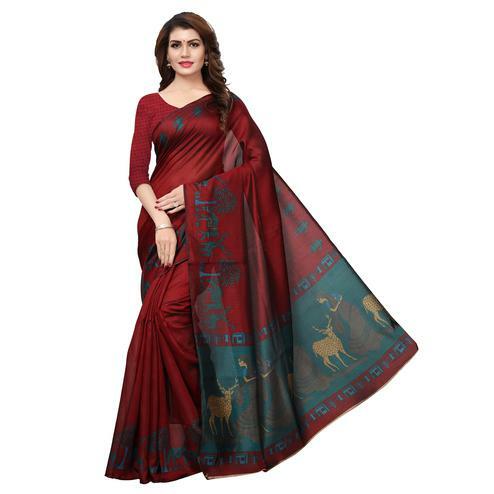 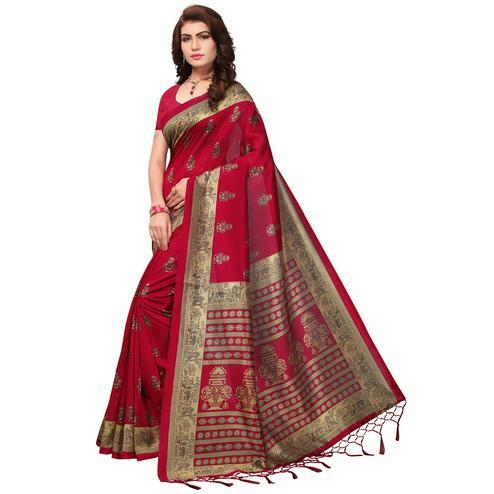 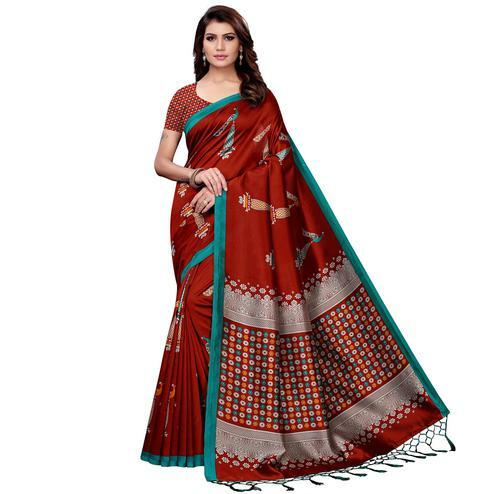 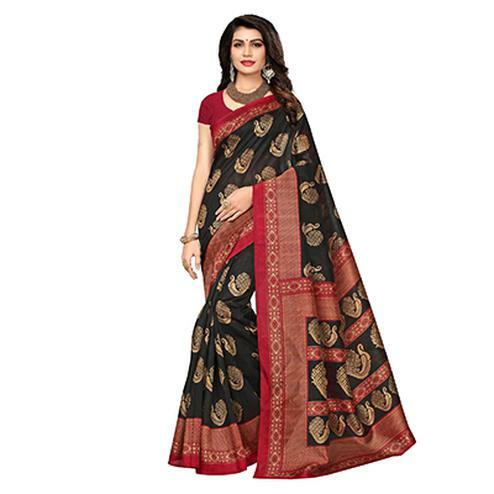 You are just one click away from buying such designer maroon sarees from Peachmode. 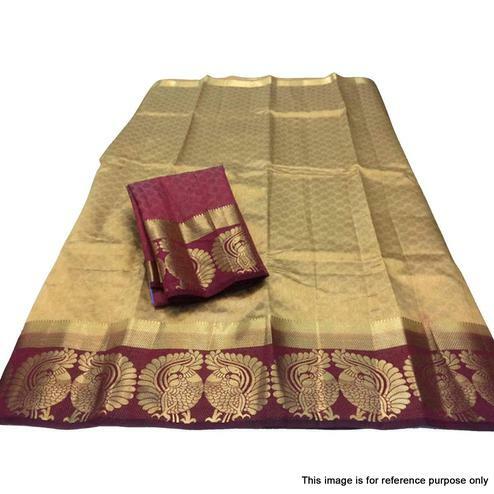 We have high quality fabric that ranges from velvet, cotton, chiffon, tussar silk and many more. 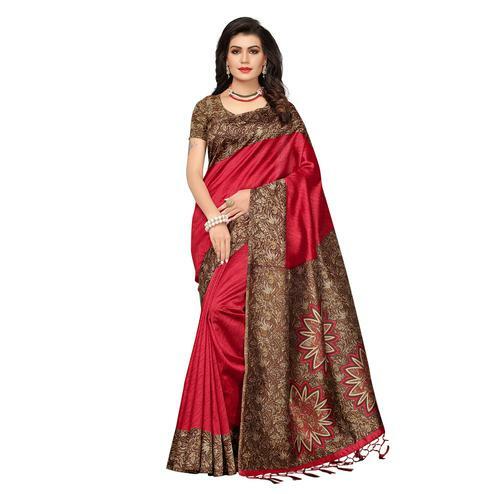 Put all you trust in our maroon silk saree and look like a diva without any doubt. 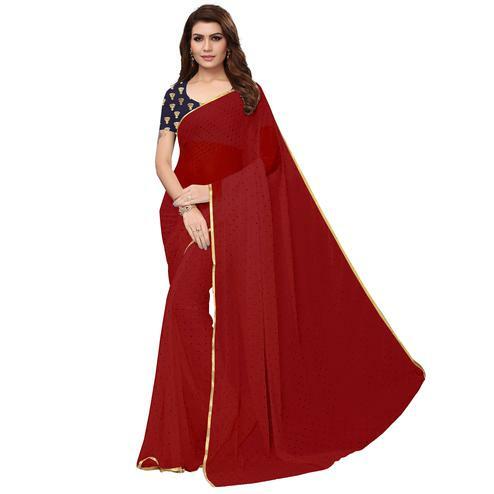 So get going and look glamorous from now with whatever you choose from us, be it salwar suits, evening gowns, partywear kurtis we have something for everyone.